Since their inaugural season in 2002, the Venom have won 4 National Championships and continued to dominate USA Rugby’s Mid-Atlantic Senior Women’s Division I South, finishing the last two years ranked #2 in the nation, and defeating D1 Elite College teams and Women’s Professional League teams such as Life University, Penn State, DC Furies, Beantown and more. 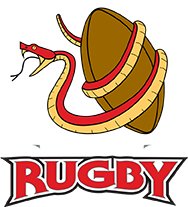 View Venom’s full USA Rugby League’s schedule & standings here. We enthusiastically encourage new players to join the team. While rugby experience is welcomed, we’re also willing to teach novices all the ropes they can handle. We firmly believe that one of the key elements to a successful rugby team is trust. Trusting your fellow players creates a web of support, which also fosters challenge and unlimited skills growth. Practices (during the playing season) are Tuesdays & Thursdays 7-9pm at the Poole Road Rugby Complex.